Now’s your chance to hurdle fire pits, dodge flying missiles, or glow in the dark! From obstacle course races to color runs, Mob™ events are guaranteed fun. Grab your friends and sign up for an experience you won't forget. 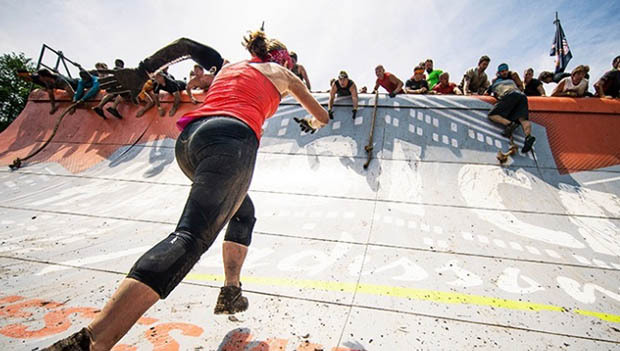 Tough Mudder is all about cohesive teamwork, pushing your physical limits and getting out of your comfort zone. Are you ready? Am I Faster Than a Weiner Dog? Take this quiz to get the hard truth on your speed versus a weiner dog. Let's be honest, this guy does look pretty speedy. Whether you're a beginner or an elite runner, improving your performance isn't just about what you should do. Here are 10 don'ts for running success. Looking for a family-friendly race to try before the end of the year? Here are nine events across the country that give the kids a chance to join in on the fun. Get stronger and run harder with this strength training circuit workout. Grab resistance bands and a mat and see how you can become a better runner. Don't think for a minute that your normal running shoes will cut it for that mud run next month. Check out these kicks designed specifically for mud running.